Knowing what an object is when seeing only part of it. A child with visual closure issues may struggle to identify a word when they can only see a few letters (as may occur due to homonymous hemianopia). Using eyesight to compare features, like color and shape, from one to another object. A child with visual discrimination issues may confuse one letter for another. Differentiating a shape or word from its background. 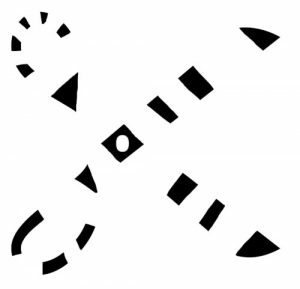 A child with visual figure-ground discrimination may struggle to pick out numbers or words from a page. Recalling something the child saw recently. 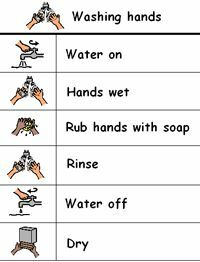 A child with visual memory problems may struggle to recall a written phone number or how a word is spelled. Distinguishing the order of numbers, letters, words, or images. Problems with visual sequencing may cause a child to struggle with filling in the bubbles on a test, aligning numbers for addition or subtraction, or keeping their place when reading a page. Understanding how an object’s location relates to you. A child with visual-spatial processing issues may struggle with judging time, reading a map, understanding written instructions, etc. Using the eyes to coordinate body movements. 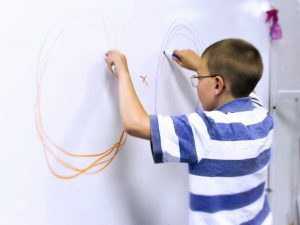 Children with visual-motor processing may be unable to copy word or judge the distance of an object. After the visual stimulus leaves the eyes, it is first processed through distinct points in the brain (known as lateral geniculate bodies) along the path to the occipital lobes. Then, that information exits the occipital lobes in white matter tract pathways called streams to other parts of the brain. The ventral stream (also known as the “what pathway”) is involved with object and visual identification and recognition. The dorsal stream (“or where pathway”) is involved with processing the object’s spatial location. 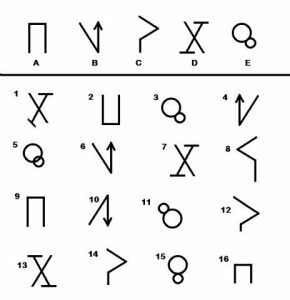 In other words, the brain is figuring out what to do with the visual information it has received; how to use it to recognize persons seen before; map routes; recognize symbols and letters; and many other interpretations. 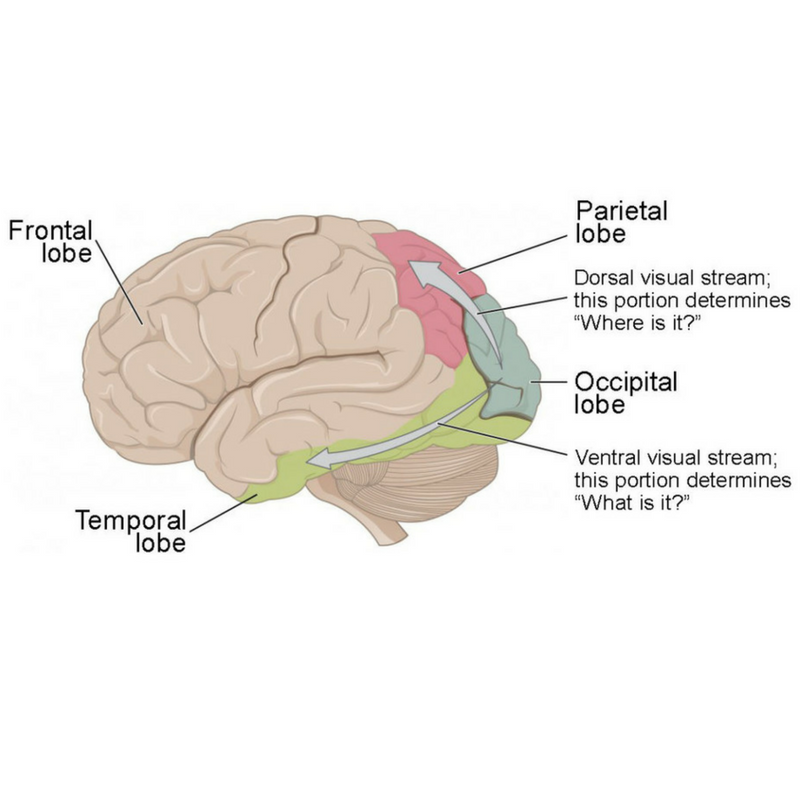 These streams run through the temporal and parietal lobes, which is why sometimes surgery to these parts of the brain can affect visual processing as well. The dorsal stream guides your actions and helps you recognize where objects are in space. Also known as the parietal stream (because it flows to the parietal lobe), the “where” stream, or the “how” stream, this pathway stretches from the primary visual cortex (V1) in the occipital lobe forward into the parietal lobe. It is interconnected with the parallel ventral stream (the “what” stream) which runs downward from V1 into the temporal lobe. Hemispatial neglect: The child is unaware of the space that exist in his/her blind field. For example, they are unaware of things in their left field of view and focus only on objects in the right field of view. Or they may appear unaware of things in one field of view when they perceive them in the other. 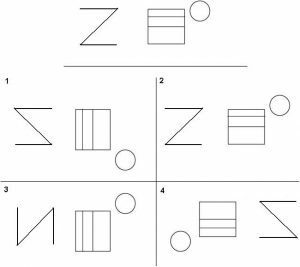 For example, a child with this hemispatial neglect may draw a clock, and then label it from 12, 1, 2, …, 6, but then stop and consider their drawing complete. Akinetopsia: The child is unable to perceive motion. Apraxia: The child is unable to initiate movement in the absence of a muscular disorders. The ventral stream is primarily involved with object recognition and form representation. Also described as the “what” stream, it has strong connections to the medial temporal lobe (which stores long-term memories), the limbic system (which controls emotions), and the dorsal stream (which deals with object locations and motion). Thus the ventral stream does not merely provide a description of the elements in the visual world—it also plays a crucial role in judging the significance of these elements. Damage to the ventral stream can cause inability to recognize faces or interpret facial expression. Dorsal and ventral stream dysfunctions rarely happen in isolation. They are usually components of both. Due to the nature of these surgeries, the connections of the occipital lobe (the part of the brain that processes input from the eyes) are disconnected from other parts of the brain which may result in the many visual processing difficulties noted above. For this reason, comprehensive medical (including ophthalmic) and educational evaluations are critical after surgery.